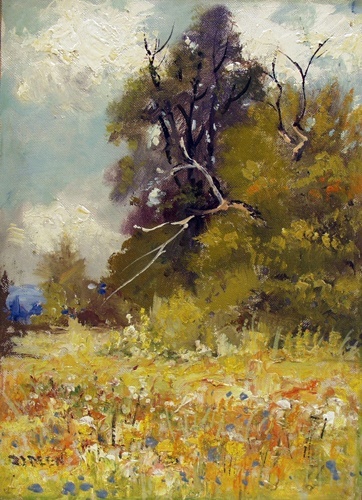 As an artist, Ira J. Deen was a visual historian of the Susquehanna Valley. 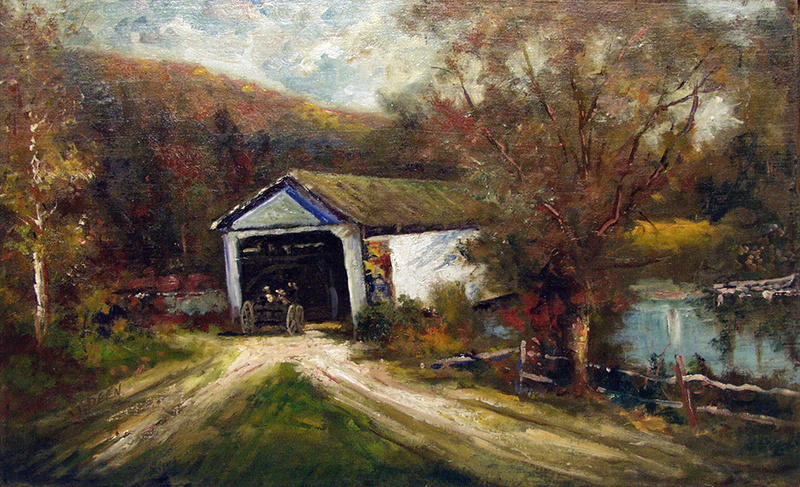 His works often reflect his plein air painting along the Susquehanna River and at Fort Hunter (where he painted with the 7 Lively Artists when he was much older) and near Wildwood. 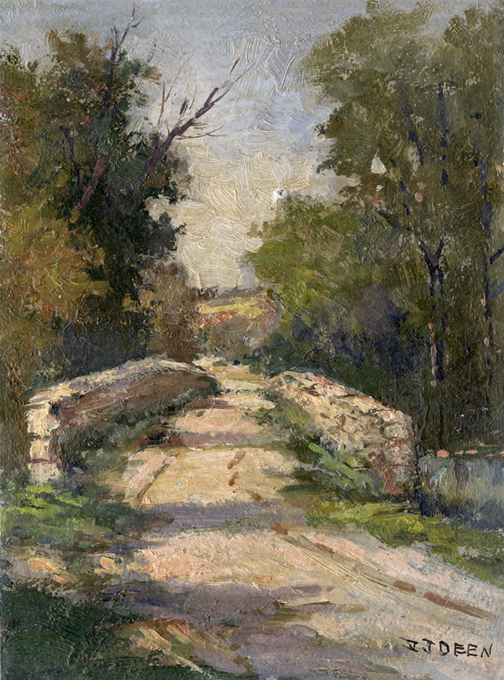 Although he painted an occasional urban scene, Deen's passion was nature and landscape in all its simple beauty and diverse mood. Born Dec. 9, 1874, in Mount Union, Ira J. Deen moved to Harrisburg, where his father worked for the Pennsylvania railroad, with his family when he was 16. He became a painter for the Harrisburg Traction Co., painting the city's first electric trolleys at the old car barn at North Third and Delaware Streets. From 1903 to 1938, Deen worked in the Pennsylvania Railroad paint shops, working on the line's private cars. Deen and his wife, Mary Virginia, lived at 3604 N. Third St. in old Estherton. His studio and gallery were on the second floor. The back yard extended to North Green Street, providing and unobstructed view to the Susquehanna River. Deen was founder and treasurer of the Harrisburg Sketch Club, forerunner of the old Harrisburg Art Association Studio. Ira Deen paintings have become quite collectible over the last several years. His work appears to have gone through several stages. The earliest dates from the turn of the century and focuses on monochromatic paintings that are often very small and tightly painted. His work in the 1920's and 1930's is among his very best and quite energetic. Stretchers were expensive during the depression and often they would paint a work and then cut it off the stretcher and mount it on cardstock. 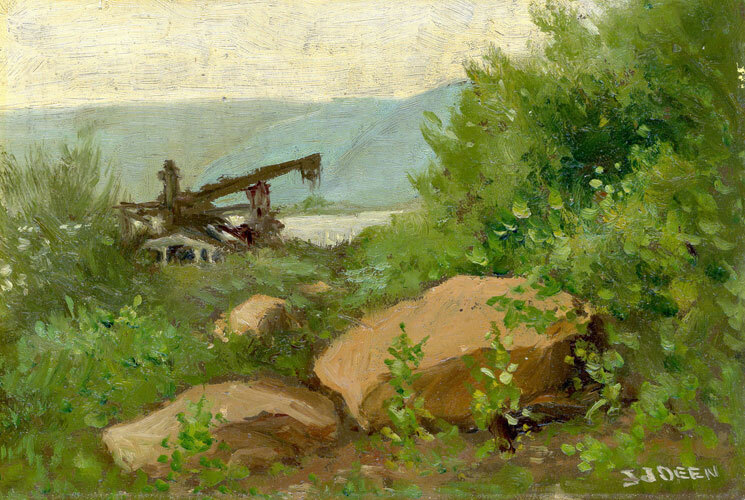 His later works often reflect his plein air painting along the Susquehanna at Fort Hunter and near Wildwood. At the end of his life, as his eyesight failed, his colors became stronger and more brilliant. He usually signed his works on the bottom and titled them on the reverse. 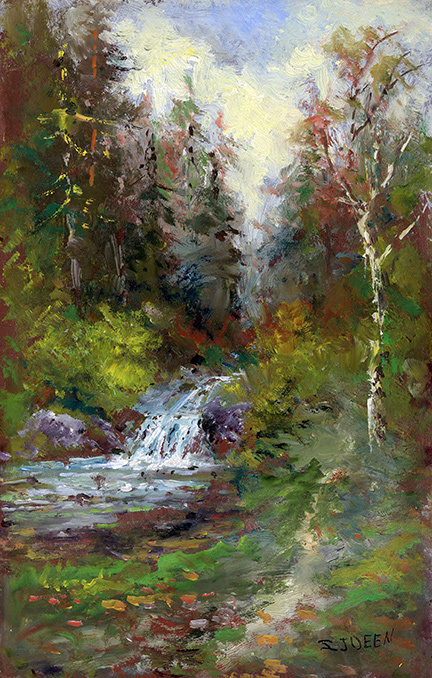 Using a Claudian mode of painting, his works follow a similar structure with arching trees on the left or right leading you into the center of the work often with a stream taking your eye back to the vanishing point. 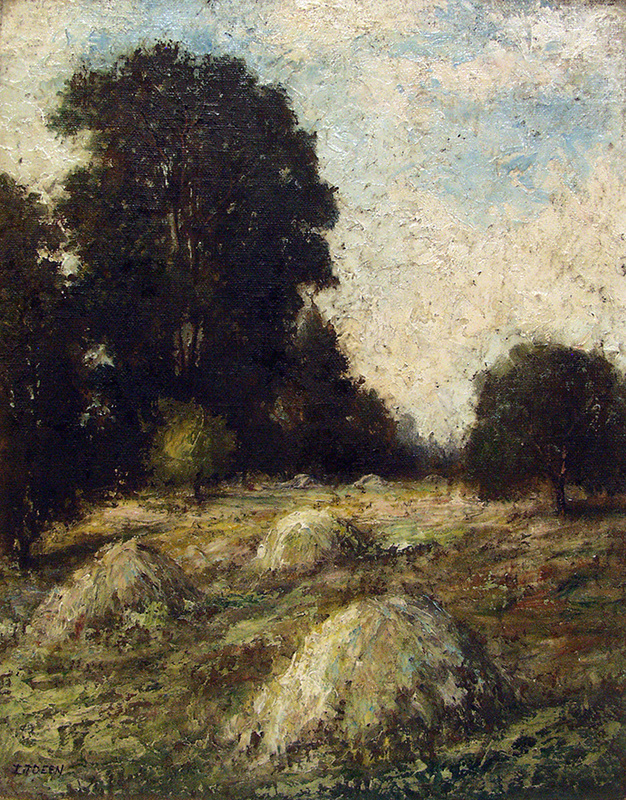 He also painted a series of a large tree that was in his back yard and another of haystacks (a la the Impressionists). The versatility of his skill continues to amaze. He died June 7, 1952.